The Ultra Phalanx from Treeman Knives is a tactical tool that has all the right attributes. 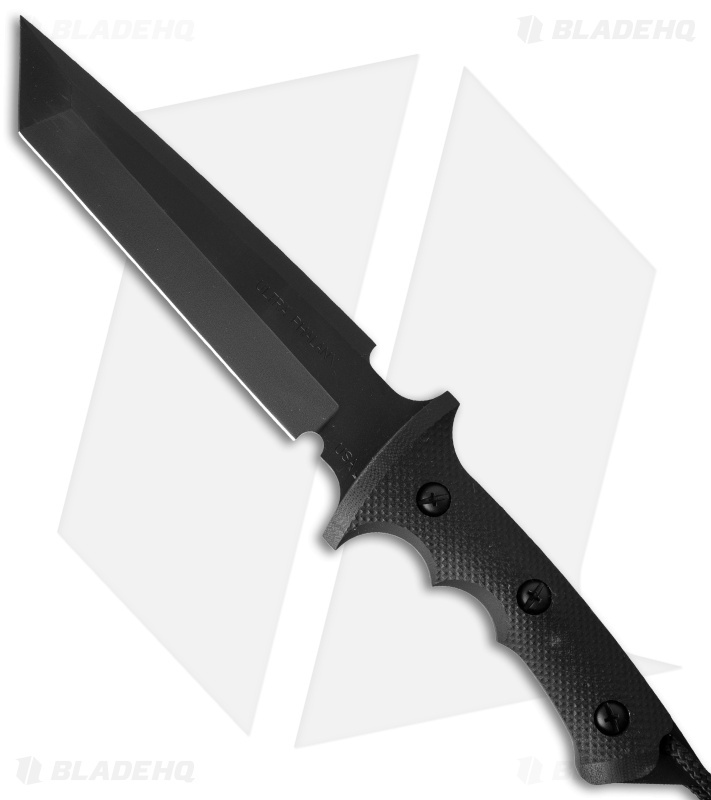 This Black Ops special version of the knife features a black Cerakote coated blade, black G-10 scales and black hardware. The tanto blade is flat ground with a swedged spine. The full tang extends past the fully contoured, diamond textured scales to reveal a lanyard hole and breaker tip. 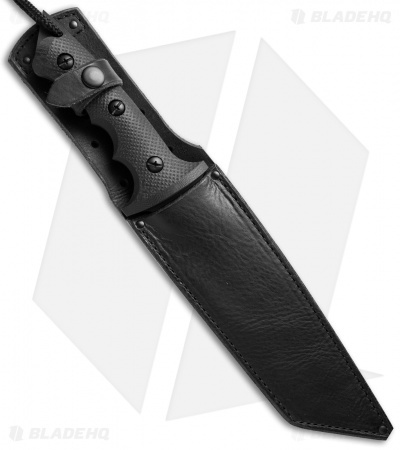 Item includes a handmade leather sheath.